Introducing the new LootCrate subscription box perfect for Science Fiction fanatics: Loot Sci-Fi! Loot Sci-Fi is the new bi-monthly (every other month) Crate featuring exclusive gear from the greatest science fiction movies, TV shows, and literature! Each Loot Sci-Fi Crate will contain Apparel, Collectibles, Figures, Home Goods, and high-tech gear! We have a sneak preview of one of the mystery items from this month’s Showdown LootCrate! 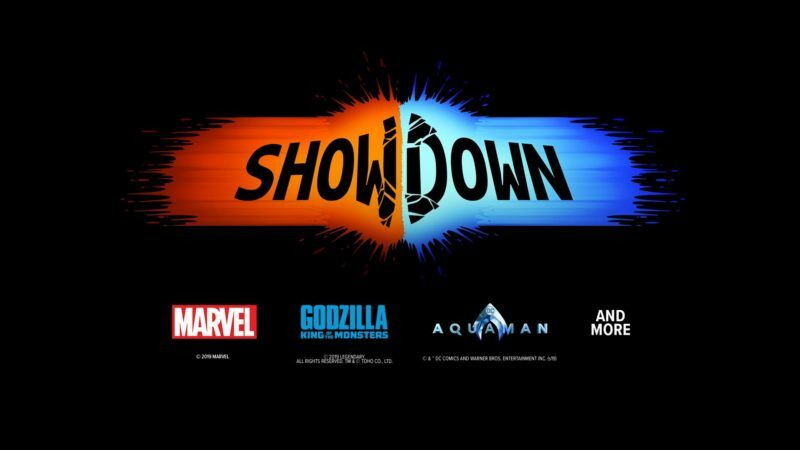 Click to the next Page only if you want to see one of the surprise items from the “Showdown” Crate! Click here for non-spoiler info about this month’s LootCrate selections! Spoiler Alert: Continue to the next Page in this Post to see the exclusive item! Funko Star Wars Smuggler’s Bounty – Dagobah! 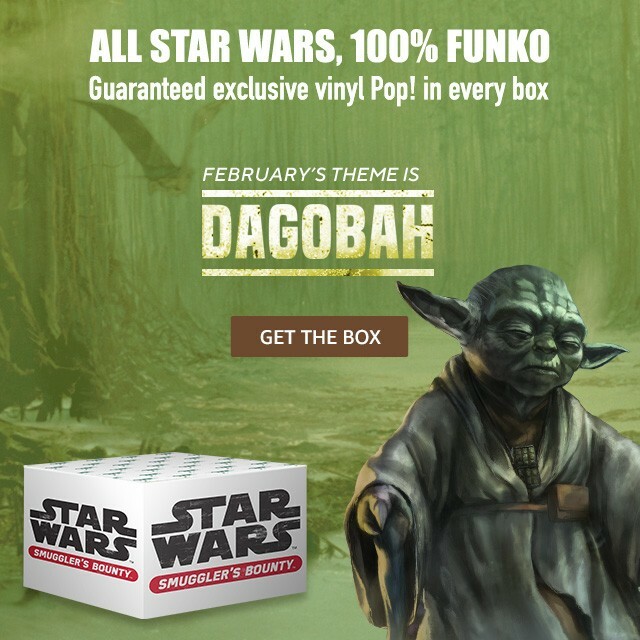 The February Funko Star Wars Smuggler’s Bounty theme is Dagobah! Smuggler’s Bounty is a Bi-Monthly (every other month) subscription box distributed through Amazon.com, with exclusive items made by Funko, based on Star Wars characters and themes. Current box: Dagobah – Take a trip to the Sluis sector of the Outer Rim territories with the Dagobah Star Wars Smuggler’s Bounty box. Stroll across the planet’s swamp-covered surface, pay a visit to Jedi Grand Master Yoda or watch Luke Skywalker grow stronger in the force but make sure to avoid the swamp slugs. There are usually four to six exclusive Star Wars + Funko items in each box and sometimes there will be Apparel, such as a Tee or Cap. 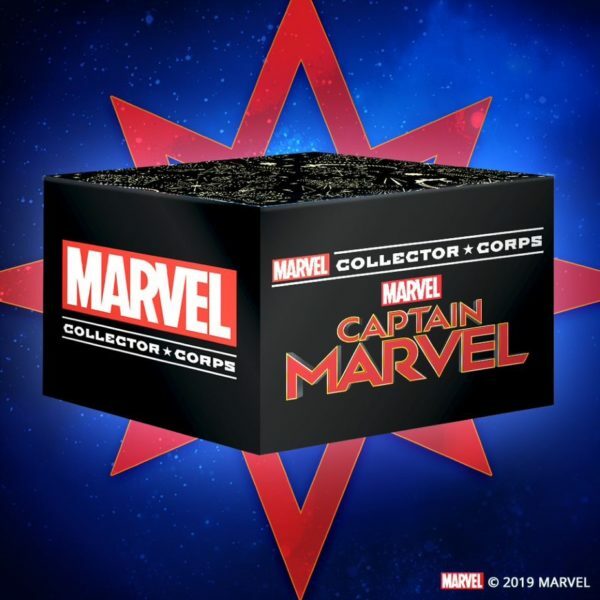 Every box will have at least one Exclusive Funko Pop! vinyl figure! Ships on 2/28/2019, so make sure to order before that date so you don’t miss out!